Analysis, action, and results — these are the ingredients that make a customer experience survey into a powerful market-building tool. You should have quick, easy access to top-level, system-wide reports, with full drill-down to regions, districts, and individual stores. And at all of these levels, you need to see the strong points and the problem areas at a glance. 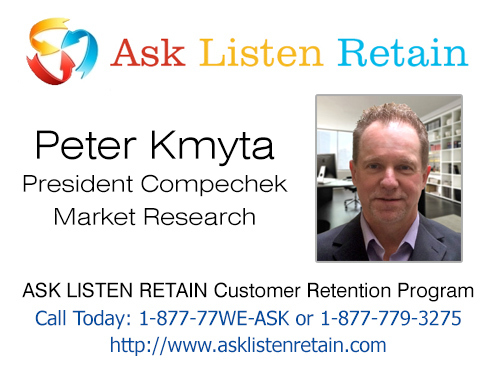 The ASK-LISTEN-RETAIN system’s upper-level management reports allow you to jump seamlessly from a breakdown of each store’s customer satisfaction feedback score to the treasure-trove of who-said-what raw data that you’ll find in individual customer comments. All of the data in the world, and all of the best statistical analysis won’t do you a bit of good if it just sits there looking back at you. Your store managers and your employees need to know when something isn’t working, and they need to know what to do about it. Well, consider this: What if your customer service satisfaction surveys actually did that for you? The ALR system automatically notifies the individual store manager when a customer has had a problem with one of your stores. It tells the store manager who the customer is, and what the problem is – and it tells the manager that he or she needs to take action now to resolve that problem. You know that people aren’t perfect – and even your best manager may be tempted to put a tough problem off until tomorrow, or just sweep it under the rug. And you also know that you can’t spend all of your time holding your managers’ hands, and telling them what to do. It helps if you’ve got a good watchdog who will gently (or not-so-gently) remind your managers when they have outstanding customer problems that need to be resolved – and who will let you know when it’s time to step in and give a reluctant manager a nudge in the right direction (or a rap on the knuckles). The ALR system can do that automatically, as well. It can tell you when a manager has been notified of a problem, and when that manager has failed to resolve it promptly. And it allows you to set the level of supervision exactly as you want it, for each manager, so you (or your district managers) can keep watch over new or probationary store managers, without being overloaded with notifications about the managers you know and trust. Analysis, action, and results — they should be the three solid, reliable steps leading to your goal of building customer loyalty.